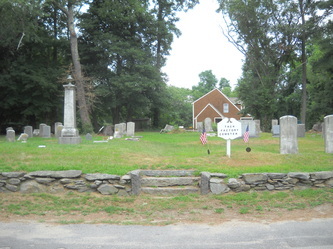 Tack Factory Cemetery is one of Middleborough's 6 town-entrusted cemeteries. This cemetery is referred to in the book "History of the town of Middleboro, MA" by Thomas Weston, as the "Leonard Cemetery". 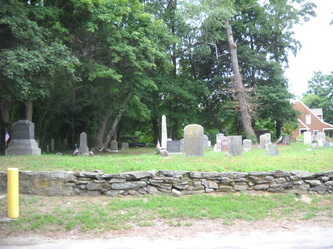 He describes this cemetery as "Leonard Cemetery, on Taunton Street near Lakeville line.". 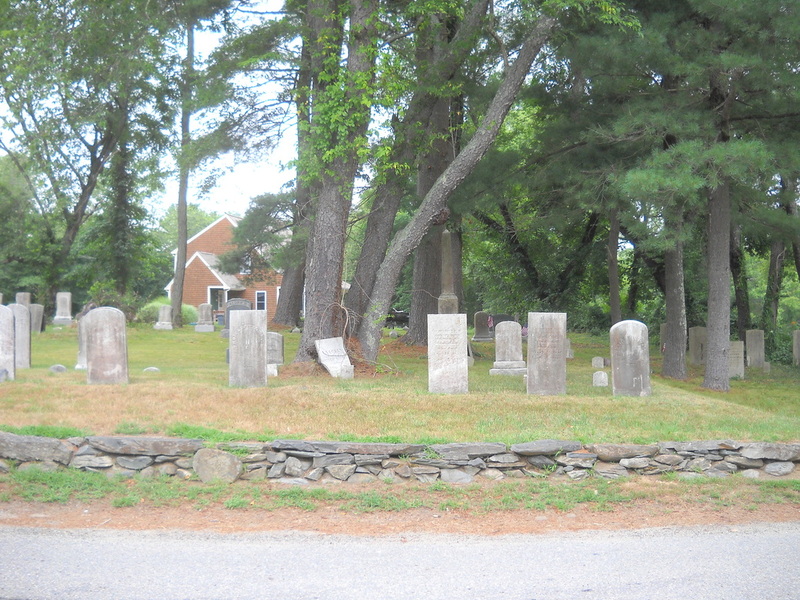 This cemetery is the subject of the book "TACK FACTORY CEMETERY and the People Buried at the Border of Middleboro and Lakeville, Massachusetts" by Jean Douillette. The book can be purchased here. 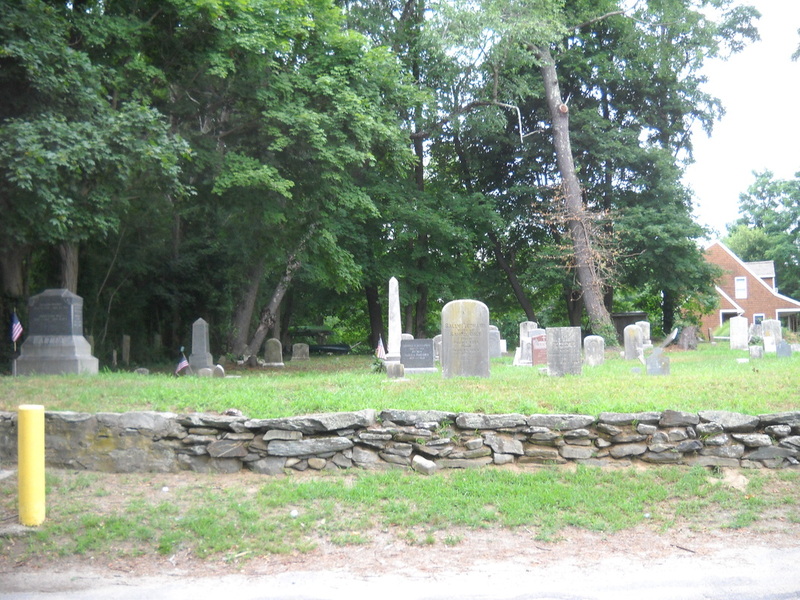 In this story, Rhonda Roberts states "I'm currently trying to get a cemetery association in Middleborough. There is money appropriated to the cemeteries for cleanup and equipment but there needs to be an association in order to use the money.". She also states "Our problem now is that we have to keep up with the maintenance of the cemetery and we're going to need volunteers. We need people to come in and mow the grass and remove the weeds that are around the edges of the cemetery." Boy Scout Troop 20 is still regularly cleaning and mowing this cemetery. The association that Rhonda created is this charity, the Friends of Middleborough Cemeteries, Inc. This story is about the new sign. The sign was the result of this charity's initiative "Signs for our Cemeteries". 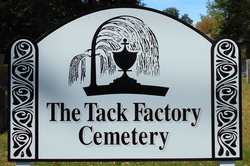 Tack Factory Cemetery is one of 14 cemeteries that neighbors drove by every day and had no idea of the name. We worked with Middleborough's Community Preservation Commission and the citizens of Middleborough through Town Meeting to secure funding. This sign was significant for Rhonda Roberts, our founder, and our group as a whole because this cemetery is the birthplace of the Friends of Middleborough Cemeteries, Inc.